After making seven brilliantly lush and romantic films with Marlene Dietrich at Paramount, Josef von Sternberg obtained an assignment in 1935 with the less luxurious Columbia Pictures to shoot Crime and Punishment. Based on Fyodor Dostoyevski’s famous 1866 novel of the same name, von Sternberg managed to compress most of the 600-page novel into a taut 88 minute viewing experience. 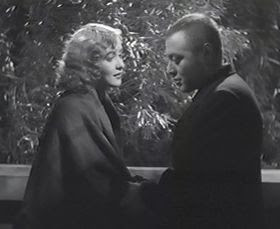 The film starred Peter Lorre, whose first appearance in an English-language film, The Man Who Knew Too Much had only been shot a year earlier and in which it is said he had to learn much of his dialogue phonetically. Whatever limitations he may have had in 1934 were certainly overcome by the following year, because Lorre gives a stellar performance in the lead role of Roderick Raskolnikov. 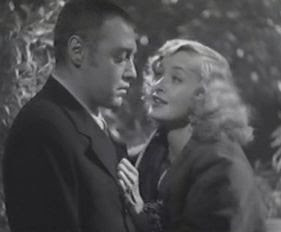 Edward Arnold, as Inspector Porfiry, and Marian Marsh, as Sonya, also make strong dramatic contributions. Dostoyevsky’s novel, of course, is a classic, but, like much of his work, it is not one that easily translates into film form. Raskolnikov commits a senseless murder very early in the story, and the rest of the tale consists of a psychological examination, from several perspectives, of his attempts to conceal the evidence and of his gradual agonising sense of guilt. Dostoyevsky wrote the book shortly after he had lost all his money due to his own gambling addiction, and the story deals with issues that must have arisen in connection with his own penniless circumstances at the time. In addition, Dostoyevsky, who had earlier been imprisoned for being a political radical, had now turned against Western liberalism, and he forcefully presented his criticisms in Crime and Punishment from his new perspective. In Russia in those days, the more pronounced forms of Western rationalism were seen by their opponents, such as Ivan Turgenev, as being “nihilistic” and accused of being antireligious and disloyal to Russian ethnic culture. Doystoyevky was one of these critics of nihilism and wished to expose the dangers of this way of thinking. In Crime and Punishment, Raskolnikov is portrayed as an intense young intellectual who has succumbed to the lure of nihilistic thinking and has come to believe that a man can achieve almost anything by virtue of his genius. If one does have this genius, so the presumed thinking of Raskolnikov goes, then one is elevated above the rabble of humanity and should not be judged by the same standards as those applied to ordinary men. Such geniuses should be given the authority to manifest their greatness. As the story unfolds, Raskolnikov finds himself in dire poverty, a paradoxical circumstance to him in view of his conviction that his intelligence is of an unusually high standard. When he finds himself being scorned and abused by an old woman pawnbroker, he reasons to himself that this woman is of no value to anyone, and it would be better to kill her so that her hoarded-away cash could be put to better use by himself. Not very long after thinking in this manner and in an extended fit of anger, he carries out the brutal murder. Since Raskolnikov, himself, is a student of criminology, he is convinced that he can easily outwit the police and escape capture. Von Sternberg manages to tell this tale in a manner reasonably faithful to the novel's storyline. For example after only five minutes, we have already (a) been inform ed that Raskolnikov is a top scholar, (b) been introduced to his mother, his sister (Atonya), and his best friend (Dimitri), (c) learned that he has just published a brilliant article on criminology, and (d) learned that he is being hounded for his landlady for not paying his rent. Very soon afterwards we are also introduced to the woman pawnbroker and her patron, Sonya, a young woman forced by poverty to become a streetwalker. After Raskolnikov learns that the poverty of his mother and sister are forcing his sister to accept the marriage proposal of the pompous and domineering Lushin, Raskolnikov goes off and kills the pawnbroker in order to get money and rescue his sister. All this has been accomplished just 22 minutes into the story and has set the stage for the real action of the film: the unravelling of Raskolnikov’s mind. As the story progresses further, Raskolnikov wavers between the lows of his guilt feelings and the highs induced by his own efforts to bolster his confidence in his superior intellect. There is a gradual descent into a mental Hell, though, as he feels himself progressively threatened and frustrated by Inspector Porfiry’s mental game-playing and insinuations, and he struggles to conceal his increasing anxiety. At the same time he is more and more moved by the simple piety of Sonya’s Christian faith and her innocent love. Thus there are three poles engaged in two ongoing dialogues: Porfiry-Raskalnikov and Sonya-Raskolnikov. Raskolnikov represents the mental frame of "nihilism" -- the belief that "man is the measure of all things", the over reliance on human-centered rational prescriptions, and the Objectivist-Romantic cult of "genius". Porfiry represents the mental frame of morality and traditional values. Sonya represents the frame of humility, faith, and love. The two dialogues proceed in their separate ways to achieve Raskolnikov's salvation. But this is not just a moral tale; it is an existentialist tale, too, and that's what has given it its enduring significance. The interplay among Raskolnikov, Sonya, and Porfiry is skilfully managed by von Sternberg to maintain a steadily increasing sense of tension. 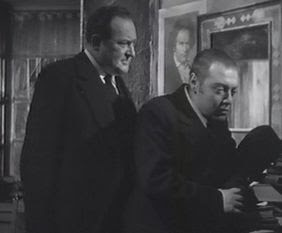 At first I thought that Edward Arnold had perhaps overplayed the role of Porfiry, at least when compared to that ch aracter’s role in the novel. But on reflection, I think that it was probably necessary to intensify his personality for the purposes of the film. Similarly, the simplicity and innocence of Sonya is compactly handled by von Sternberg and Marsh. As might be expected, von Sternberg knows how to present Marsh in a way that maximises her particular womanly appeal, without pulling her out of her role in the narrative. It is Lorre, though, who carries the action and manages to convey the conflicting emotional pressures in a dramatic and expressive manner. The existentialist aspect to the story is difficult to convey, but Lorre does well to conjure up those overtones that are covered in much greater depth in the novel. A quite different slant on the existentialist overtones of Crime and Punishment was adopted by Robert Bresson in his Pickpocket (1959), also an adaptation of Dostoyevsky's novel. Bresson has configured his main character in an even less sympathetic fashion that did Dostoyevsky, and it is an interesting exercise to compare von Sternberg's and Bresson's contrasting cinematic realisations of Dostoyevky's themes. In summary, we can say that von Sternberg's Crime and Punishment concerns human emotions and passions, but it is not exclusively a romantic film, as had been the nature of many of his previous efforts. In fact it's something different, an existentialist film noir – and one of the quality early examples.